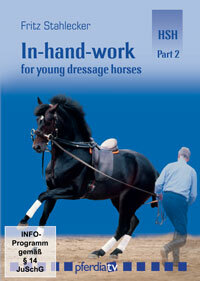 The hand-saddle-hand Method (HSH) of Fritz Stahlecker Part 2: Advanced Work Horses are like children, their ability to learn is greater in the first years of life. If horses are carefully and gently trained in-hand the first years of their life, their qualities will be fostered well and perfect results can be achieved later on. 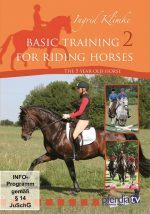 With his exceptional hand-saddle-hand-method (HSH), Fritz Stahlecker shows how to train movements up to advanced dressage exercises with young, only three-year-old horses gently, without any stress and considering important sport psychological aspects. If the horse is backed at the age of four, the rider can start on an already advanced horse that knows the exercises and that has already developped the necessary muscles to carry the rider without any problems. 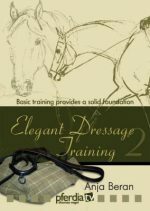 He continues to train collection and cadence in-hand later on this is of great advantage for the body and the soul of the horse. “Légèreté”; riding without a strong influence of the hand is what every rider should strive for. The well padded schooling bridle of Fritz Stahlecker was especially designed for the basic in-hand training. 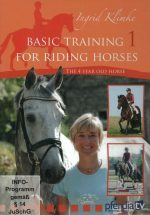 The young horse learns basic exercises without the riders weight, without any bit. His mind gets challenged, yet there will be no resistance which has the positive result of no tension or wrong movements. The horse will be ready for high performance training. 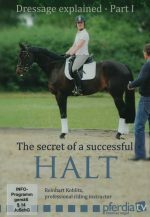 All those who prefer aesthetics and creativity rather than force and strength when training dressage horses will love this film. Fritz Stahlecker, a textile engineer, born in 1925, has worked with horses, also difficult horses, since he was a child. His opinion is, the biggest mistakes result from a violent use of the reins. 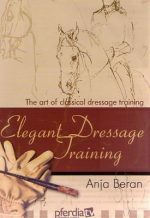 Inspired by the Légèreté, one of the basic principles of the Romanic riding style, he developed his own training method and has already trained various horses up to advanced level.